Steak can be quite expensive, but there are ways to save money and still serve steak. This is a guide about saving money on steak. Tips and advice for saving money on steak and cooking tips as suggested by the ThriftyFun community. Go shopping the earliest you can when the store opens. The butcher always marks down meat to put more out. My mom always does this and gets steak at around $1 a pound or less. The meat is fine, just freeze it when you get home if you are worried the meat may be "on the edge". Buy reduced meat. Two of my brothers were meat cutters and they say aged steak is best. I think they even advertise at fine steak restaurants that their steaks are "aged". I find that Tuesday morning is the best time to shop for them. Steak that has not sold over the weekend. 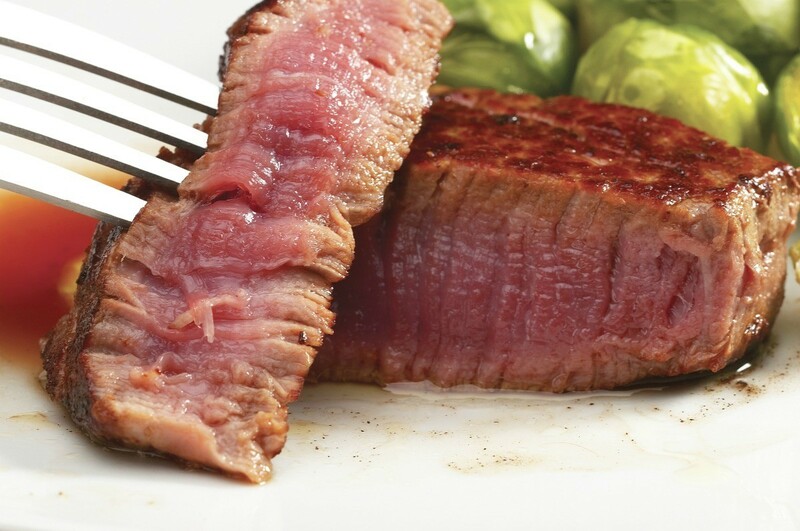 We don't often buy steak (just when it's really marked down). I buy one steak, slice it into strips, fry it in a salted frying pan and make Steak Salad. One steak can feed 3 or 4 people. We feel like a king on a pauper's budget. Once you've bought your steak for as low a price as possible (thanks to the hints from Becca and Carol above! ), be smart about how you trim the steak. I like to cut off the larger pieces of fat and the bone, then put them in the skillet with the frying meat. They'll give the meat their good flavor. That's your first use of "waste" materials. Then I remove them, stick them in a container in the fridge, and save them for the next time I need to make broth. Along with the tips of carrots, the ends of onions, the leaves of celery, the stems of parsley and cilantro and mushrooms, and a few other little odds and ends, these make an excellent broth indeed. That's your second use of "waste" materials. I don't have a yard myself, living in a huge city in a high-rise, but I've heard that ground-up bones also make a decent fertilizer for a lawn or garden. That's your third use of "waste" materials. 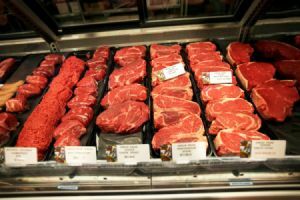 If there is a meat market (butcher) in your area, you can get better deals on steaks there usually with a better quality than a regular supermarket. Or, if you have a small food market that cuts their own meats. Here's an easy way to fix steak when it's too cold to grill out, this works well with cuts like chuck steak as well. I place the steak onto a layer of aluminum foil, season with salt and pepper, slice an onion over the top of the steak. Place 1 or 2 small dots of butter on top, wrap the foil tightly shut, making sure steak lays flat. Place in shallow baking pan. Bake at 350 degrees F for about 1 hour, less for medium or med rare. Just make sure the foil stays tightly closed, it seals in the juices and helps make the steak tender. I buy sirloin steak at our local HEB between $2.99 and $3.49 a pound and I spend $8-10 for myself and hubby. I marinate them overnight with salt, pepper and Worchestshire and then we grill them. We have not had a bad one yet and no waste from any bone. Why pay for something you cannot eat? And they are a good market trim, so very little fat. I fix baked potatoes and salad and we have a great meal for a fraction of a restaurant. That is our big splurge every few months. Instead of eating out for Valentines Day, we went and bought some very nice steaks at Costco. We cooked them up with just salt and pepper, seared them on the stove and then put the cast iron pan in a hot (500 degree F) oven to finish them. They were perfect and dinner cost about what the tip would cost at a moderate restaurant. I love Costco's meat department. It is usually cheaper than the "family" packs from the grocery store and the quality always seems to be high. I usually will freeze half the steak for a later purchase, flank steak is a favorite cut around here. Feel free to post your ideas below. One thing you can do is buy a sirloin steak. Take all your frustrations out on the sirloin and tenderize it with a meat tenderizer. Pound it till it looks. well like it was just tenderized. You pour a can of Golden Cream of Mushroom soup on it and do in oven or on the grill, depending where you live. I, for one, know I will not be using the grill tonight as we are getting pounded with snow at this very moment. Next you can use Adolph's tenderizer, cook in oven till it is done the way you like it. You can then save what is left and, the next day, cut the steak into strips and cook in a butter and some garlic salt or powder, either way. At this point, I would not add any salt. You can add mushrooms while you cook and make steak sandwiches or just bake some potatoes, make a salad and eat the steak as is. Where I live in NC some of the stores offer the whole roast at like 4.98 a pound,for NY Strips and Rib Roasts. They will slice it free. I wait to buy til the sale papers come. I only buy meat on sale. If sales are good enough ask it you can buy in bulk. Thanks for your tips,good ones! I would remember a smart portion size, that saves money as well as health and waistline; the one in the picture looks like three or four servings to me. Quality, not quantity. I don't shop often at Costco but my neighbor goes there weekly. He brought back some steaks home one day that were indeed awesome to view but the price was way beyond what I can afford. My preference is to buy steak in 12-14 slabs from the local grocer. 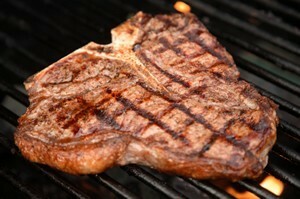 Strip steak slabs come in at $3.99, ribeye at $4.99. I cut my slabs into pieces about 11/4" thick. I wrap them in recycled plastic produce bags--the thin, clingy kind--and freeze. Recently, we've had potato pancakes with steak. One benefit is that by cooking the pancakes first, the cast iron skillet is clean and hot for the steaks and cleanup is easier. I've done the searing and then putting in the oven at 500 degrees like Jay in the Costco posting, but it filled my house with smoke when I opened the oven door. Then I saw on the Food Network website, I think it was Tyler Florence, did it similarly but after searing in the pan, roasted in the oven for 10-12 minutes at 375....just as good and no smoke-filled house! WoW - some great ideas - now heres mine! We are meat eaters, but have now learned to eat smaller portions. To start with, most of the time we marinate well (sometimes overnite). This goes for steak, chops and chicken. Then my husband bar-b-q's (year round, even in the winter snow!). Now that it is just the two of us, I still buy the "family" packs and bar-b-q the whole package. The first meal we make sure that we have baked potatoe and/or veg and/or salad ( at least two other things) to round out the dinner. Then we have left overs for several nites. Using the left over meat we make tacos, soup, sandwiches or put the meat on top of salads. We can make a nice T-bone last at least 3 meals. We also buy most of out meat on sale and put it in the freezer. It makes us feel good to have a great dinner and then discuss just how much we would have had to pay if we had of gone out to a nice place to eat! We also have our own garden and are thinking about adding a few chickens this spring! And spending time on this site is such a money saver - KEEP UP THE GREAT WORK!!!! 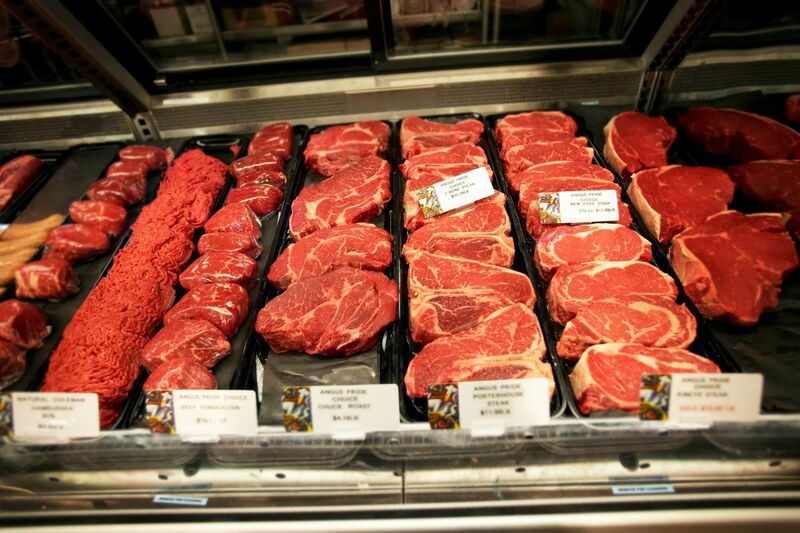 Consider buying a side of beef locally rather than buying piecemeal from the grocery store. Ours ended up costing about $3.50 per usable pound, which is about what ground beef goes for regularly in our area, but we got some really great cuts of roast and steaks. I'd never had a Porterhouse before, it was awesome! This is cheap and easy to make, and it tastes great. Combine first 5 ingredients in bowl, mixing well. Shape into balls. Wrap with bacon, securing with toothpicks. Brown on all sides in skillet. Pour off drippings. Combine remaining ingredients with 1/2 cup water in bowl, blending well. When I make beef stroganoff or beef stir fry, I buy minute steaks from my butcher. One minute steak costs about $1.50 and I use one for every two people and more veggies. Question: How Much Do Filet Mignon Steaks Cost? What are the prices of filet mignon steaks? The price of anything would depend on which part of the United States or World you live in as well as how many grocery stores are in your area as both would affect the prices of everything. Live in a small town with only one grocery store and you are captive to whatever they charge. We have at least fourteen stores in the area we live in and shop at the one that has the best sale prices of the week. How Much Do Filet Mignon Steaks Cost? This is a guide about how much do filet mignon steaks cost?. Depending on availability, the price of a filet mignon can vary greatly. It will always be more expensive than other cuts but can be worth it when cooked properly.